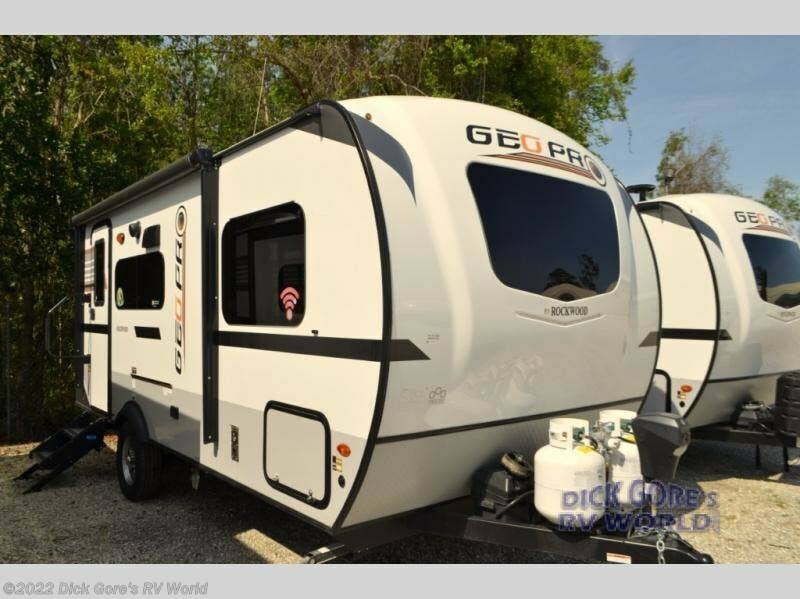 Come see just how fun and easy camping can be with this Rockwood Geo Pro travel trailer! 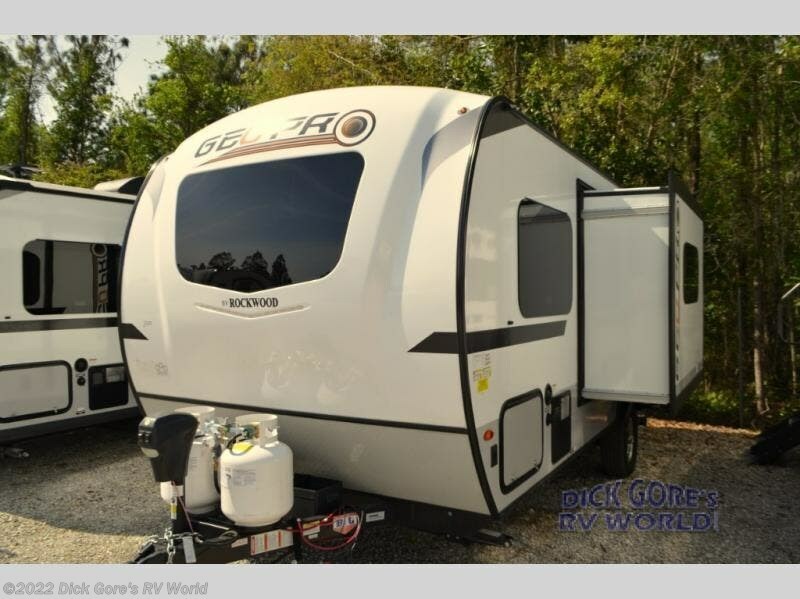 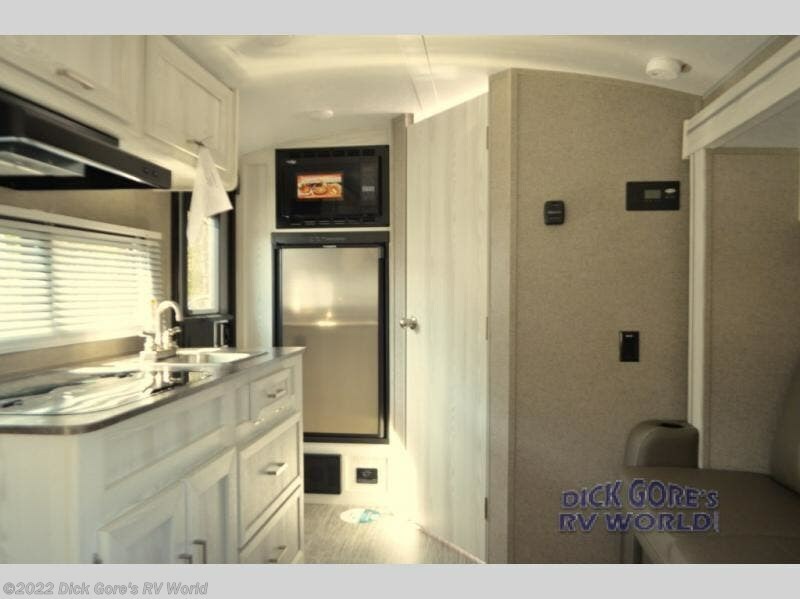 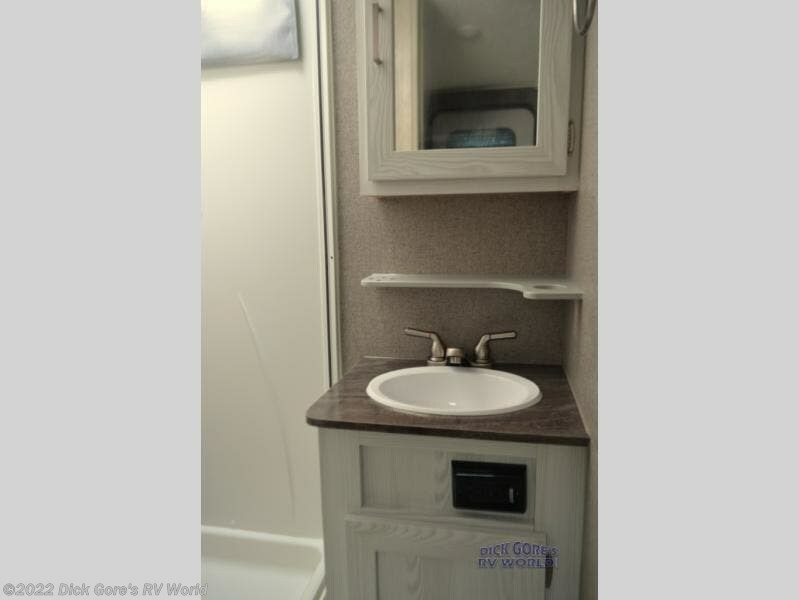 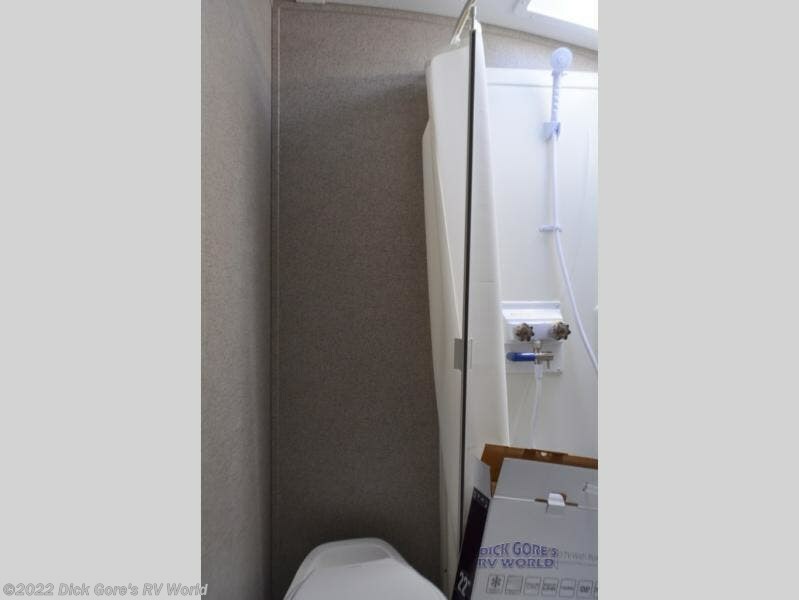 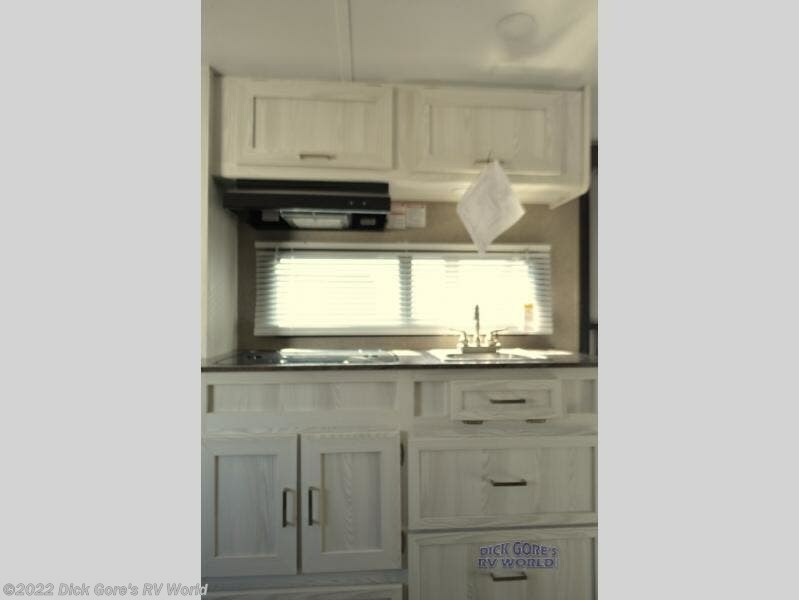 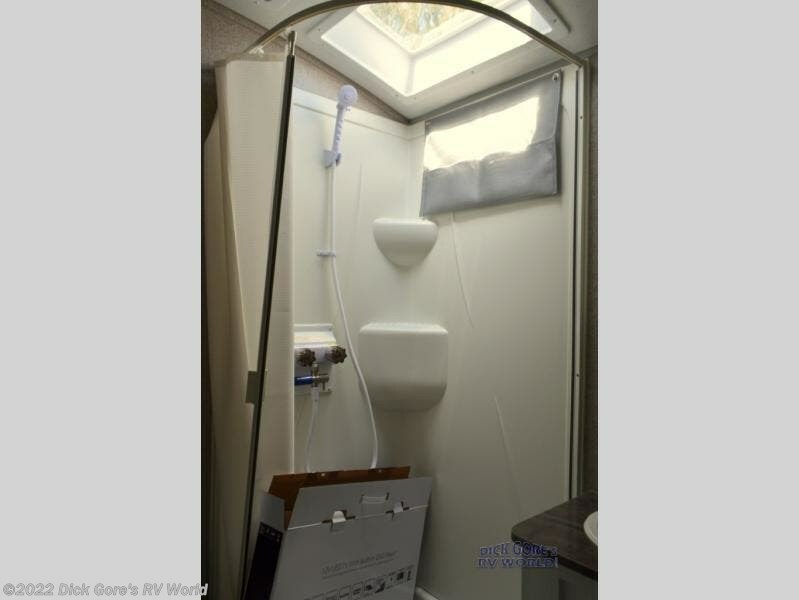 You will find that the single slide provides more floor space between the front and the rear of the trailer to move about without having to squeeze in, and the rear full bathroom across from the entry allows for quick access inside and outside so you don't have to miss any of the fun. 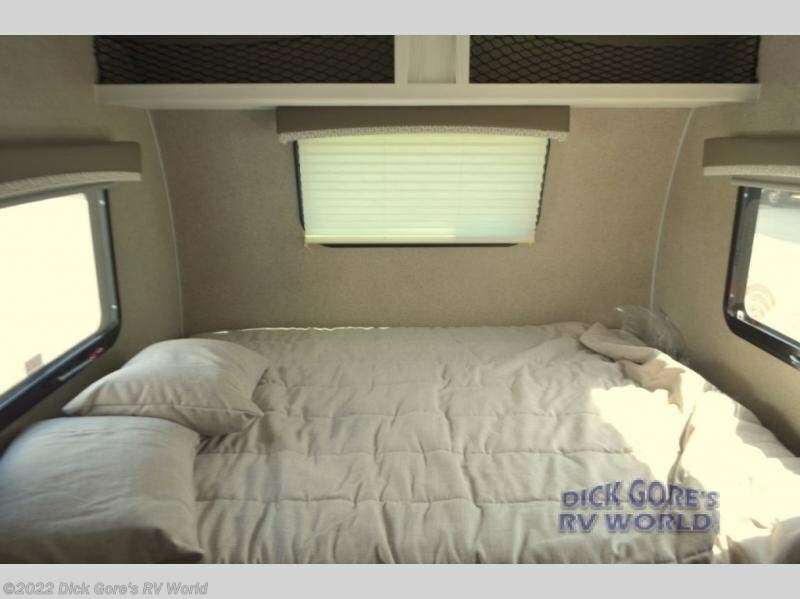 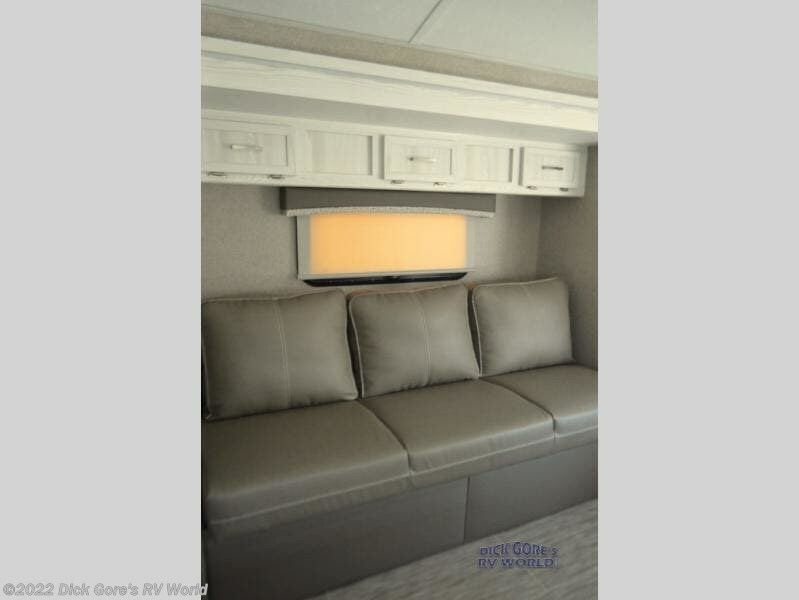 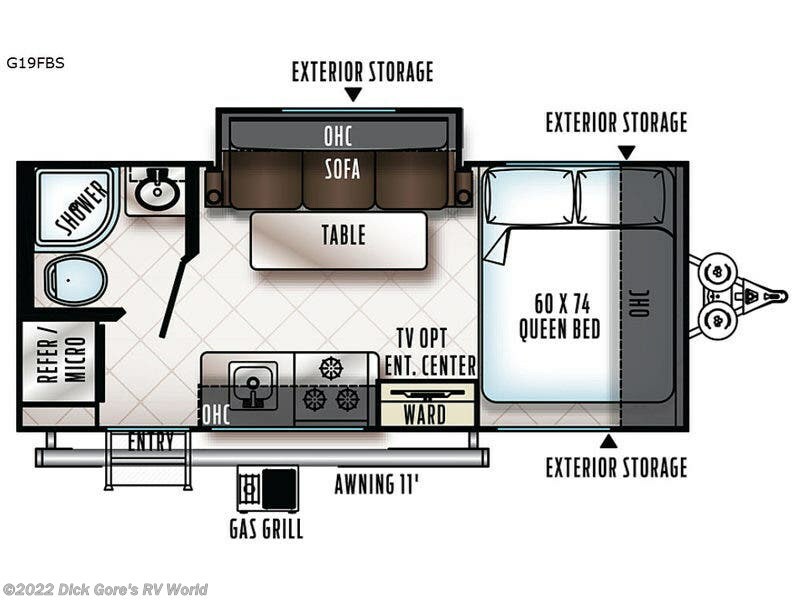 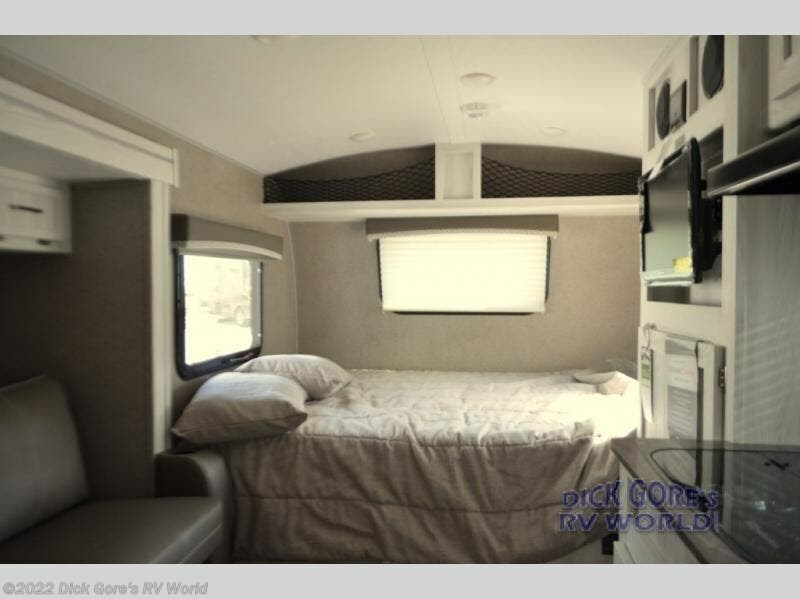 The sofa includes cup holders and a table so that you can dine, work, or sleep, and the queen-size bed up front will allow you to unwind before the next adventure. 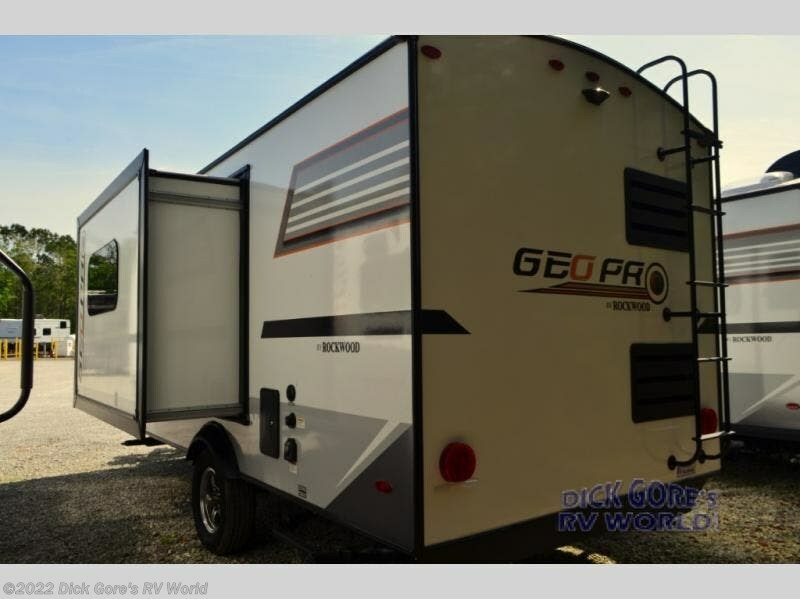 The Forest River Rockwood Geo Pro travel trailer is built to be towed by most "crossover" vehicles and smaller SUVs. 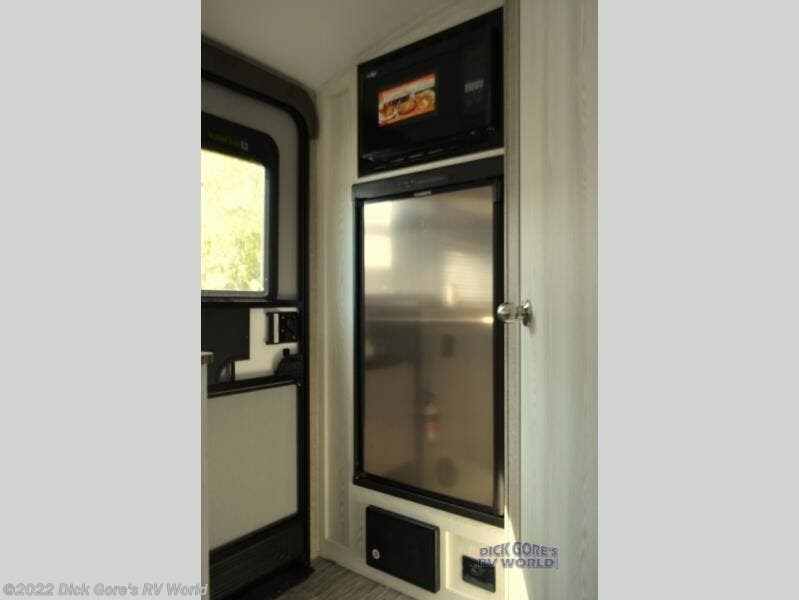 Each model includes a WIFI Ranger WIFI Booster to boost your WIFI and give you a secure connection wherever you land, as well as a 12V TV with DVD player to entertain you all along the way. 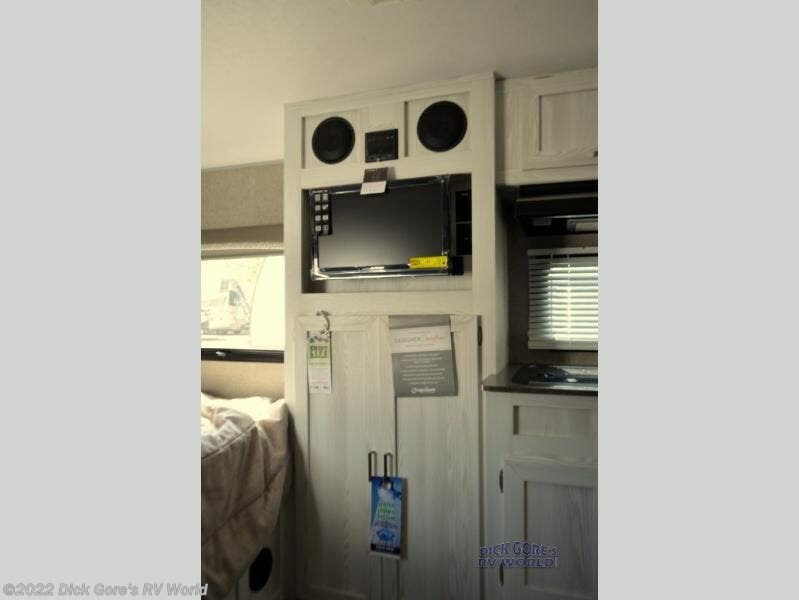 You will also appreciate the outdoor speaker for listening to your favorite broadcasts on the AM/FM stereo with Bluetooth and USB as you party outside in the cool night air. 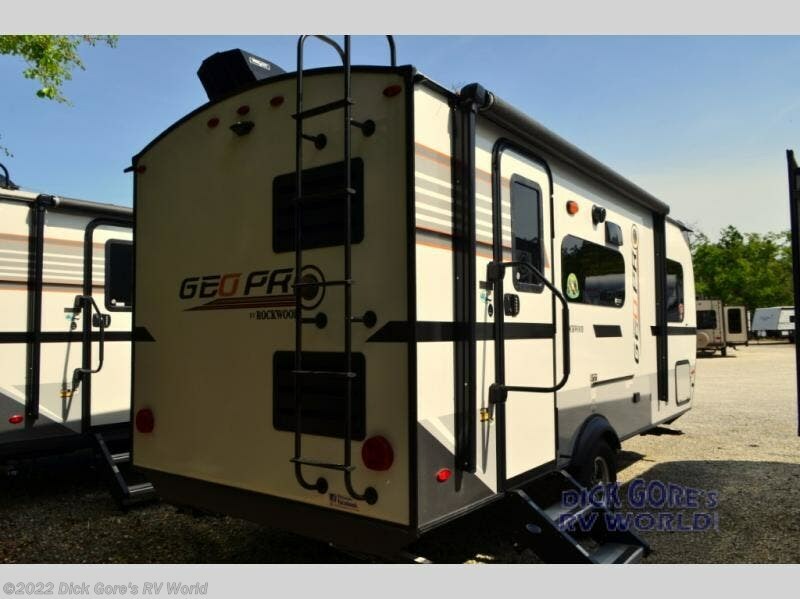 Check out Stock # K3005853 - 2019 Forest River Rockwood Geo Pro 19FBS on forestriverrvsource.com!